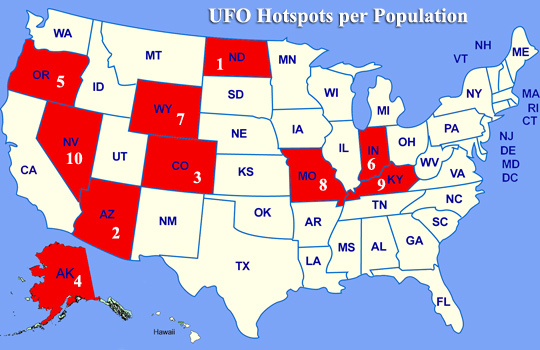 Check out this link which is tracking the UFO hotspots around the US. While California leads the way in overall sightings, Arizona leads the way in sightings per population capita. Interestingly enough if you read on in the story, paranormal activity seems to occur more frequently around the latitude of 37 degrees. This can be attributed to the strong energy fields around this portion of the earth. Advanced extra terrestrials use these energy lines as highways to travel and communicate.